After shopping around and talking to various Piano Shops about restoring my 101 year old Player piano, I decided that the Piano Emporium was the right choice. 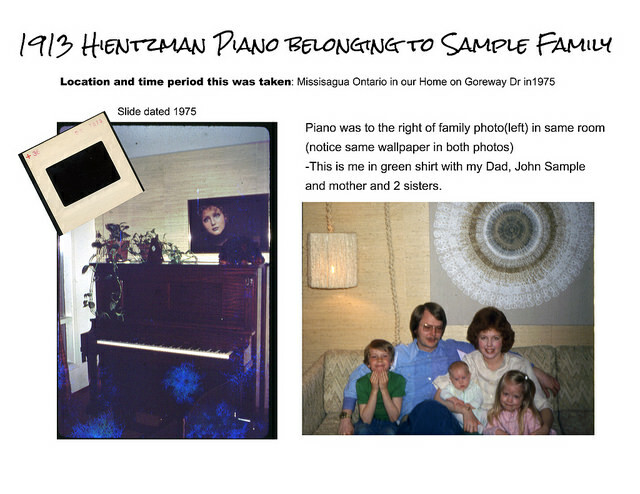 Shane talked to me extensively and showed personal interest and understanding about the potential my instrument had, the realities of taking on this project (both the good and bad), and even took extra time to show me other pianos that have undergone similar restorations. I was given many options to choose from to fit my budget, and the knowledge and individual attention I needed to make the right decisions. When I first brought my piano to their shop, it sounded horrible due to age and neglect of 100 years of wear and tear, not to mention it looked like it had seen better days cosmetically…and Shane brought it back to life perfectly. It was obvious to me that piano emporium took a lot of pride in their work. I received my piano just a few weeks ago, the Piano Emporium delivered way beyond my expectations. The rich tone, beautiful cabinet, polished brass, chipped ivory keys fixed…and for the first time in my life, I’ve actually experience the player mechanism working! Everything came together on a grand scale down to the smallest details. Most importantly, the action and playability is perfect. When friends stop by, their jaw drops because it so beautiful, and the cabinet had many post Victorian ornamental elements that must have made it extra challenging to recondition. 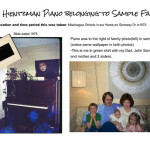 If you are thinking of restoring a good quality piano from “yesteryear” – first, do it! You absolutely wont regret it, you can’t replicate the unique sound and personality YOUR antique instrument can make with one of those new ones. Secondly, you won’t regret bringing it to the Piano Emporium. It was worth every penny for me!